Advert for a copywriter from David Ogilvy. 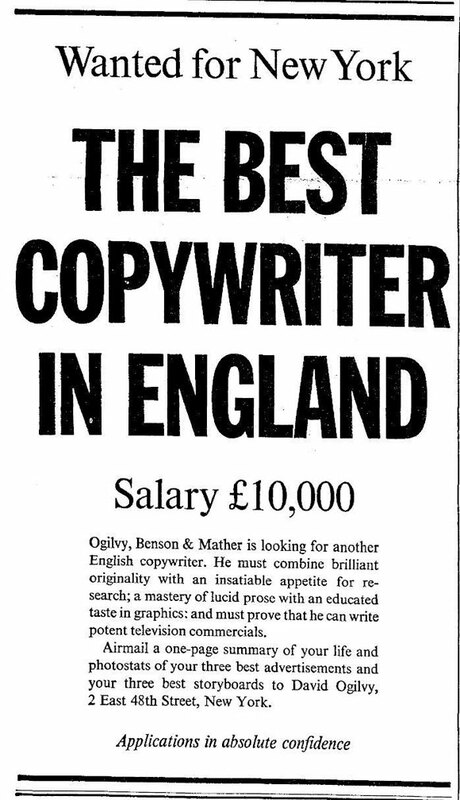 Advert a copywriter, published in The Times, 23rd January 1964. This entry was posted in Uncategorised on 15th June 2015 by Gyles Lingwood.